Look for local chef Kathy Jones to move her Junonia Fish Market from the Indianapolis City Market to a new location this summer. Jones, who has announced that she will resign her position as executive chef at Iozzo’s Garden of Italy April 25, said the market location will be open until Memorial Day weekend and she’ll continue to serve a Wednesday evening menu for diners at the market’s Tomlinson Tap Room. 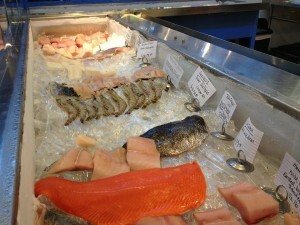 Junonia Fish Market will relocate this summer from its current location in the Indianapolis City Market.